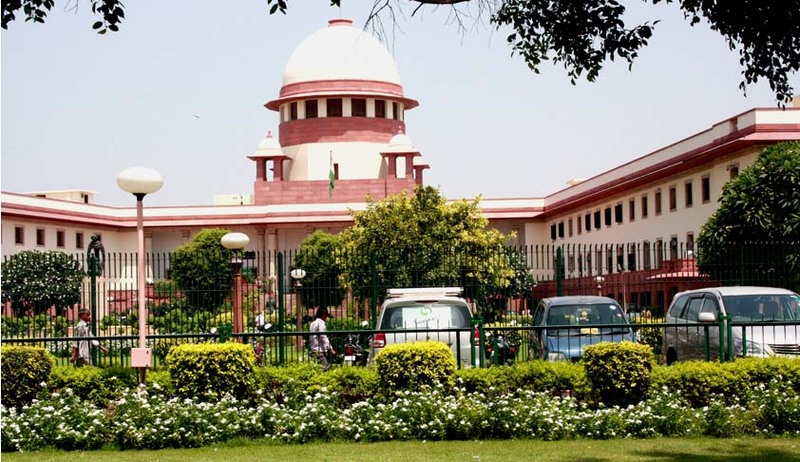 A writ petition has been filed in the apex Court of the country, seeking a declaration that Section 498A of IPC is non-existent, redundant and non-operational in law and hence, proceedings, prosecution and conviction under the said section is unconstitutional, ultra vires, arbitrary, void and illegal after the Repealing and Amending Act, 1988. It submits that an FIR charge-sheeted under a repealed law leads to denial of fair procedure under Article 21 of the Constitution of India and also violates Article 14, 19, 20 and 21 of the Constitution of India. It also asks whether a welfare state can be constitutionally permitted to allow and run extra judicial prosecution in courts by misusing its three wings i.e. legislation, Executive and Judiciary. It is submitted that the legislation is arbitrary and favours one class of women on complainant side and oppresses, tortures and victimizes the second class of women on the accused side. It is hence, submitted to be violative of Article 14 and 21 of the Constitution of India. It hence, seeks to trace the authority responsible for this big legal blunder and asks whether it is Law Ministry, Union of India, the State Government or the Judiciary. The petition asks whether denial, breach by any spouse and departure from the aim, object, source of law, Shastra, Veedas and Vivah Paddati (Marriage Procedure and promise and oath taken before Agni (Sacred Fire) with Saptpadi is not a breach of sacred principles and solemnization of Hindu marriage and thus annuals from the tie and bondages of marriage? And hence, such non-performance of seven promises (saptpadi) can constitute a valid ground for annulment of marriage. The Hindu Marriage Act doesn’t contain and clarify the demanding of the dowry from the side of the Bride, a ground for divorce. Section 3 of the Dowry Prohibition Act, 1961 does not have a provision to punish a female for demanding the dowry as the word “he” appears in Section 3 for punishment for the offence and it excludes the word “she” for the same punishment in its definition. It finally contends that a repealed law can neither be put back in motion in Courts of law, nor can they be re-legislated by the Parliament. It says that the President of India cannot sighn twice the same Act for its invocation and implementation which is violative of basic structure of the Constitution of India. Since the petition raises very important, historic and substantial questions of law, of general public importance, the petition prayed it to be heard by a Constitutional Bench. “Crime in India 2012 Statistics” published by National Crime Records Bureau, Ministry of Home Affairs shows arrest of 1,97,762 persons all over India during the year 2012 for offence under Section 498-A of the IPC, 9.4% more than the year 2011. Nearly a quarter of those arrested under this provision in 2012 were women i.e. 47,951 which depicts that mothers and sisters of the husbands were liberally included in their arrest net. Its share is 6% out of the total persons arrested under the crimes committed under Indian Penal Code. It accounts for 4.5% of total crimes committed under different sections of penal code, more than any other crimes excepting theft and hurt. The rate of charge-sheeting in cases under Section 498A, IPC is as high as 93.6%, while the conviction rate is only 15%, which is lowest across all heads. As many as 3,72,706 cases are pending trial of which on current estimate, nearly 3,17,000 are likely to result in acquittal. The Petition raises serious questions of public importance and will definitely work as a precedent if accepted. The misuse of Section 498-A was recently debated by the apex Court, wherein the Court laid down strict guidelines to be followed by Police and Magistrates, barring automatic arrest under 498-A. Read the LiveLaw story here. The next date of hearing has been fixed on 14th of August.